One of Sam Altman's fondest moments as a tech entrepreneur is the day he met Steve Jobs. It was 2008 and Altman had just presented his location tracking app, Loopt, at Apple's worldwide developer's conference. Altman, who was 23 at the time, dropped out of Stanford and moved to Mountain View to do what he's done best his whole life: hack, build, create. Jobs called the app "cool," Altman said. "It was in this darkish room, so I could just see the glasses shining, the two circles," he recalls. Altman, now 28, is dedicated to helping other founders of startups have moments like this. The entrepreneur has just taken over as president of Y Combinator, one of Silicon Valley's most prominent accelerators that works with startups in their infancy. "I love working with really early stage startups where the outcome is still in doubt," Altman says. "Maybe they'll go on to greatness or maybe they'll never get off the runway at all." 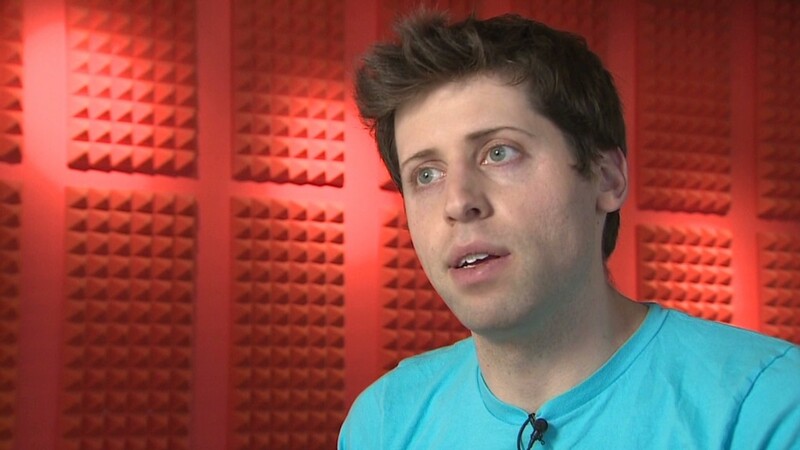 Altman has been a part-time partner at Y Combinator since 2011. The company's previous president, Paul Graham, passed the torch to Altman in February, acknowledging in a blog post that the former Loopt founder is what the company "needs at this stage in its evolution." As part of his new job, Altman is trying to find promising ideas and founders in the increasingly crowded startup arena. His immediate goal: to invest more. Altman spends most of his time at Y Combinator's sparsely decorated office in Mountain View -- where the firm's partners hear 10 minute pitches and decide whether entrepreneurs are capable of building out a billion dollar business. Related: Should Airbnb really be worth more than Hyatt? It's where Airbnb's founders pitched their idea. At the time, they had little money in the bank and a website gaining no traction. Now Airbnb is reportedly raising funds that would value the hotel alternative service at $10 billion. Y Combinator has invested in more than 600 companies in the past nine years. Acceptance into the accelerator translates to funding, mentorship, and a ticket to the inner workings of Silicon Valley and investors that matter. The program includes notable success stories like Dropbox and Reddit. Loopt is another. Altman sold Loopt to Green Dot (GDOT), a provider of prepaid debit cards, in 2012 for $43 million. Fellow startup founders say Altman's experience as an entrepreneur and reputation for mentoring early stage companies makes him the perfect person to lead Y Combinator. "He's the quintessential startup founder," said Aaron Levie, the CEO of Box. "The man eats sleeps and breathes startups." Levie, whose company filed to go public last month, said he reached out to Altman after dropping out of college and moving to Silicon Valley. "He was super helpful, and I was in awe of what he was building." he recalls. But Altman and Y Combinator will now face a lot more competition. Google (GOOG) and Facebook (FB) offer handsome salaries and perks to bright engineers who might otherwise look to start their own companies. "How do we convince that brilliant engineer that has the idea he's really passionate about, that can change the world, to start a startup and not go work as an engineer at a big company?" Altman says. Altman has a good perspective on the difficulties that go along with building a business. Having lived through the roller coaster of building his own company, he knows founders often put their best foot forward, regardless of how their startup is performing. "If you ask a founder how their company is doing, they always say, 'Oh it's great. We're totally crushing it,' and that's almost never true," Altman says. "Startups on the inside are always badly broken." But Altman is ready to get his hands dirty. He added that he won't fund "a great idea with bad founders." "Ideas are cheap and easy and there are a lot of them," he says. "What we really care about -- are the founders that have the strength and determination to go out and build a great company."